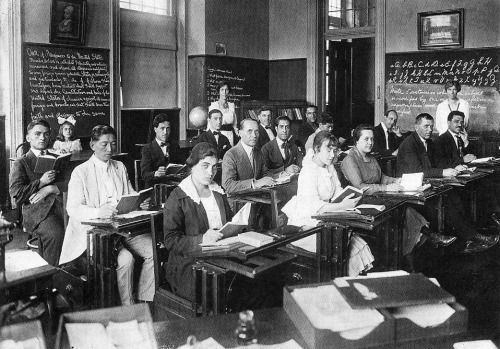 Nationalization (becoming an American citizen) was an important event to many immigrates. The process of naturalization started in 1790. Some of the rules included the naturalization of a man could also include his wife becoming a citizen (that last only up to 1922). The man’s children (those under the age of 21) were made citizens when the father became a citizen and that rule applied until 1940. 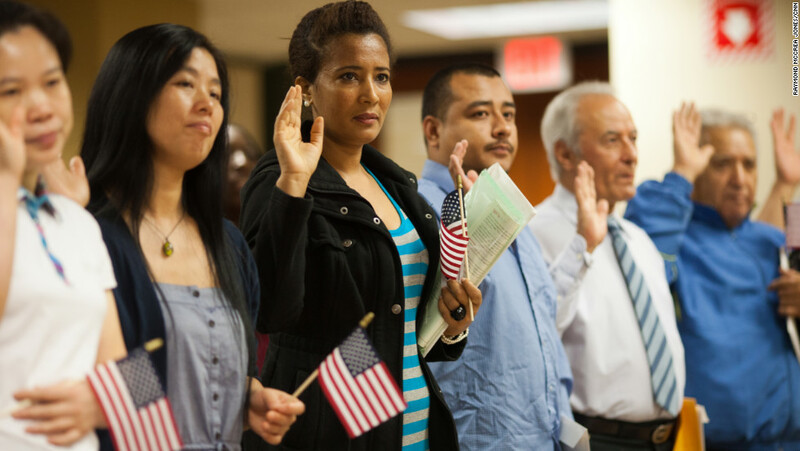 To be naturalized was a two-step process. Records for naturalization before 1905 are located in the person’s hometown county records and found in probate court and clerk of courts of a county. FamilySearch.org has records listed under ‘categories’ of naturalization documents based on locations. So if you ancestor lived in Louisville, Kentucky and was naturalized there you would search under the county name for Louisville, which would be Jefferson County. So in the search box write out the town county and state. Then click on subject and place ‘naturalization’. Search and a listing for any available such naturalization documents in that county with years covered will appear. It might only have naturalization records for 1880 to 1900 and your ancestor did not arrive to the American shores until 1904. Plus keep in might it is when they applied and received naturalization — not when they arrived. Usually, it might 5 to 15 years after they arrived before applying to become a citizen. If you do have correct location and years you would then selection the county records for naturalization but there is not search box using surnames, but rather most use dates, starting with the earliest they have to the later. You would need to browse the records, enlarge so you can read each. Use the enlarging buttons on the far left. You can download each image (they are scanned from microfilm). Examine each record especially other names of persons who supported this individual becoming a citizen. It can be a friend, employer or another family member who was already a citizen. Once you have a general idea or to help find an approximate date for applying to become a citizen, check the local hometown newspaper of specific dates with you ancestor’s name. Many times the names of those seeking to become citizens or those recently taking the oath of citizenship will be listed in the newspaper. Check other documents you have about an ancestor and see if any date is listed. 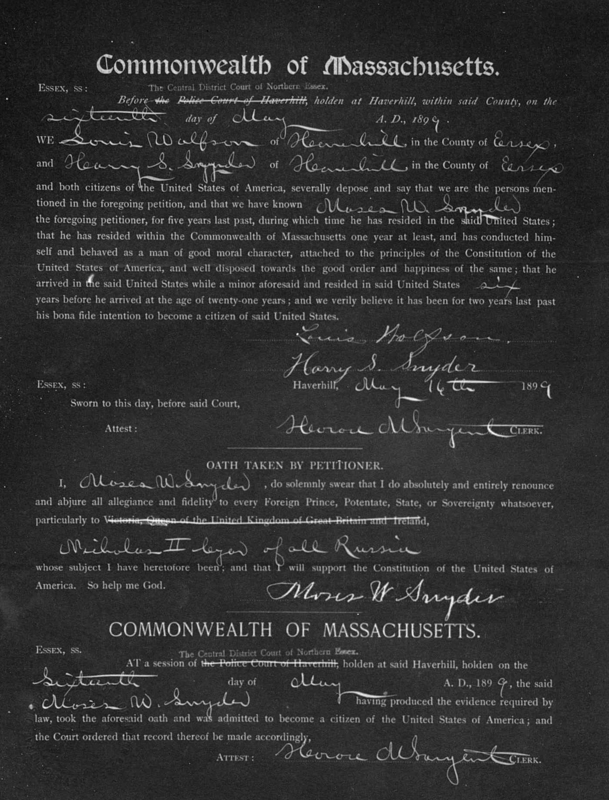 Getting the information from what is completed by an ancestor on their naturalization papers is important and rich in information. Do write and check with the county the ancestor may have gotten their naturalization in to acquire copies of those documents. 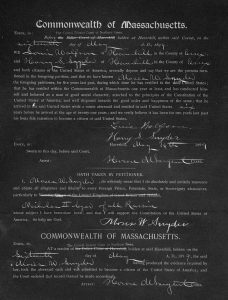 Photos: Immigration & Citizenship; 1899 in Haverhill, MA–Moses W. Snyder who came from Russia; schooling in 1920s for immigrates; and taking the oath of citizenship.